Smashing! 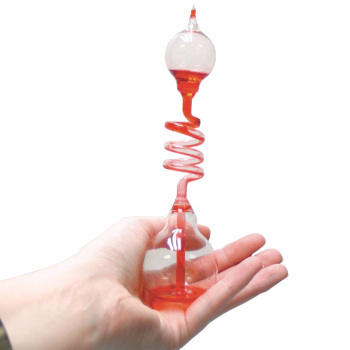 Steel Sphere Demo Kit, Energy Conversion: Educational Innovations, Inc.
Graphically illustrate the conversion of mechanical energy into heat energy. When two 1-pound, 2-inch diameter, chrome steel spheres are smashed together, enough heat is generated at the point of contact to burn a hole in a piece of ordinary paper! This amazing demonstration graphically illustrates the conversion of mechanical energy into heat energy. Although there are no flames, a charred hole appears along with the odor of burnt paper. The kit contains two steel spheres and instructions. When two, 1-pound, 2-inch diameter steel spheres are smashed together, enough heat is generated at the point of contact to burn a hole in a piece of paper. Place a sphere in each hand and hold your hands about 1-meter apart. Then quickly move your hands together until the steel spheres collide and bounce off. Repeat with an assistant holding a piece of paper vertically at the point of collision. Smell and examine the paper. If a microscope is available, one can see burnt specks of carbon and concentric ripples in the paper. Repeat with a piece of aluminum foil instead of the paper. A number of concentric rings are observed in the foil. This amazing demonstration visually illustrates the conversion of kinetic energy into heat energy. The kinetic energy of the two heavy moving spheres is converted into heat at the point of collision. The size of the spheres is critical. Smaller than 2-inch metal spheres, there is not enough mass; larger than 2-inch spheres there is too much surface area on collision. No matter how hard you smash a ball peen hammer onto an anvil with a paper in between, you do not get a hole or ripples in the paper. Like in the story of Goldilocks and the Three Bears, 2-inch spheres are just right! Many believe that at the point of collision, a shock wave travels through the paper or foil. Under a microscope one can see little specks of carbon and ripples in the paper similar to the ripples in aluminum foil. Since then, there has been a frantic search for rusty spheres. It is possible to rust the Educational Innovations ones, but it is usually a slow process. Dr. David Shaw, MATC in Madison, WI, has reported that a few months in the presence of fumes from the chemical storage closet works well. Acknowledgement: In 1995, Dr. Joseph Wesney, a physics teacher at Greenwich High School showed me the smashing steel sphere demonstration. We then attempted to locate its origin. After talking sequentially with a series of physics teachers, we concluded the originator is unknown. You may or may not be able to get thermite sparks from these spheres, but the burning holes in paper demo is reliable and easy right out of the box. These work perfectly right out of the box for burning holes in a paper placed between the spheres. Sadly getting the thermite sparks has proven much more difficult. I spent weeks rusting one of the spheres, wrapped it in aluminum, practiced my glancing blow, but no sparks. I've done it before with other spheres borrowed from another instructor. I may be missing some element, but I've followed the directions and checked with others who have done it successfully. You may or may not be able to get thermite sparks from these spheres, but the burning holes in paper demo is reliable and easy right out of the box. Owner Response: These spheres are not intended to demonstrate thermite reactions. They are made of high chrome steel, and, as a result, are rust resistant. What is the name of this Effect? If this holds up on quantum level, why all the naysaying about Low Energy Nuclear Reactions? LOVE this demo as an awesome example of how energy is conserved in a collision. I ask students, where does the kinetic energy go when I smash these two spheres together and they stop moving? Then, I have each student hold up a piece of paper and I go around the room smashing the spheres on their papers. They love it! The balls are heavier than they look and you have to smack them hard, might not be something that the smaller kids can do, takes a bit of hand/eye coordination. Owner Response: Agreed! These spheres weigh one pound each and have to be hit together with more force than most little children can muster. We've done this activity with students as young as 1st or 2nd grade, but you have to be careful that they don't drop them on their feet! Working over a table works best! I have used 1 inch steel balls from a pinball machine for this demo. These 2 inch spheres far exceed the performance of the smaller spheres. Tried it. It works. It's good because people have experience with using friction and bending wires to generate thermal energy, but it's not so easy to believe or picture a collision generating heat (bullets melting, meteors vaporizing, that sort of stuff). You can also smash cold clay against a cold floor several times on a cool day and using oven mits and get it to heat up, but still these spheres make something @burn@. I bought 6 sets if these spheres to use in my 6th grade class. During the third quarter when we focused on energy transformation, the kids used these to smash different materials like paper, foil, cloth, and other thin materials as part of an experiment. The kids had a blast and learned a lot. I wish these didn't rust over time. I've had the for 5 years and they're starting to rust, but the still work great! These balls are a great hit at our observatory. My middle school docents use them to demonstrate kinetic to thermal energy conversion. They love burning holes in paper and creating rings in aluminum foil. 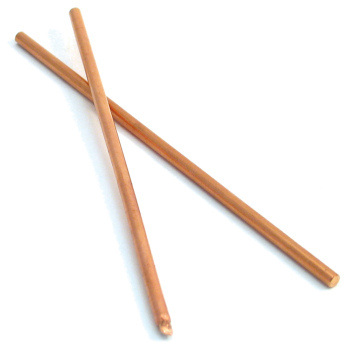 We use these to explain many astrophysical events. I save these for the last demonstration of energy conversion because we always end up smashing various materials between the spheres to find what can be burnt and what requires too much energy. A great tool and simple demo of energy conversion. I picked these up at the science conference. My students couldn't get enough of them! They are an excellent example of energy transfer! 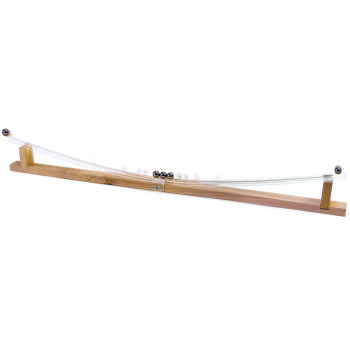 Great for showing the change of kinetic energy into thermal and sound energies. Although this is a very simple demonstration, it is extremely engaging and surprising. Students love to pass them around and quickly try them out. I kept dropping this off my budget because I thought they were too simple for the price. I finally ordered them though and wished I had done so sooner. I love demos like this that are extremely simple and engaging. Students can use the Smashing Steel Spheres in an investigation to make observations to provide evidence that energy can be transferred from place to place by sound, light, heat, and electric currents. Students can use the Smashing Steel Spheres in an investigation to ask questions and predict outcomes about the changes in energy that occur when objects collide. DCI-4/PS1.B: Conservation of Energy and Energy Transfer. Energy is present whenever there are moving objects, sound, light, or heat. When objects collide, energy can be transferred from one object to another, typically also transferred to the surrounding air; as a result, the air gets heated and sound produced. Students can use the Smashing Steel Spheres in an investigation to construct and interpret graphical displays of data to describe the relationships of kinetic energy to the mass of an object and to the speed of an object. Students can use the Smashing Steel Spheres in the plan of an investigation to determine the relationships among the energy transferred, the type of matter, the mass, and the change in the average kinetic energy of the particles as measured by the temperature of the sample. 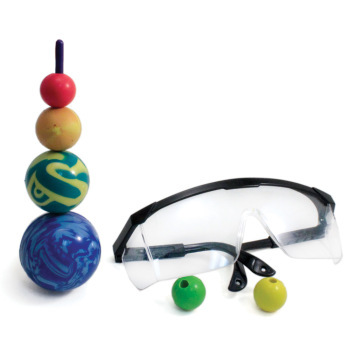 Students can use the Smashing Steel Spheres in an investigation to construct, use and present arguments to support the claim that when the motion energy of an object changes, energy is transferred to or from the object. 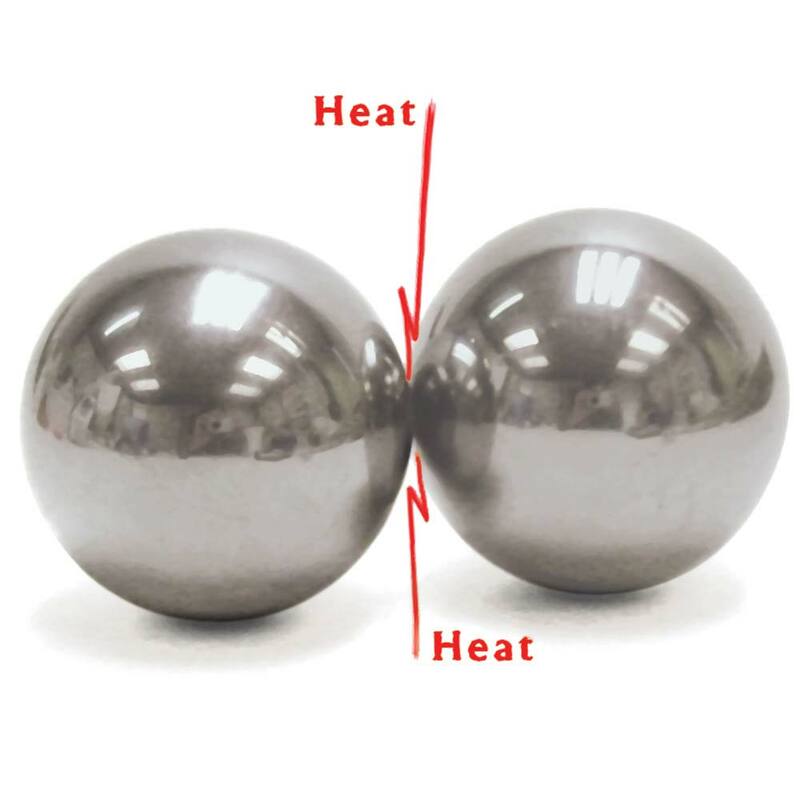 Students can use the Smashing Steel Spheres in an investigation that also includes a computational model to calculate the change in the energy of one component in a system when the change in energy of the other components and energy flows in and out of the systems are known. Students can use the Smashing Steel Spheres to illustrate that energy at the macroscopic scale can be accounted for as either motions of particles or energy stored in fields. DCI-HS/PS3.B: Conservation of Energy and Energy Transfer. Energy cannot be created or destroyed, but it can be transported from one place to another and transferred into or out of a system. This demonstration visually illustrates the conversion of kinetic energy into heat energy. The kinetic energy of the two heavy moving spheres is converted into heat energy at the point of collision. When two 1-pound, 2-inch diameter, chrome steel spheres are smashed together, enough heat is generated at the point of contact to burn a hole in a piece of ordinary paper! Although there are no flames, a charred hole appears along with the odor of burnt paper. (Let the younger kids smell the burnt paper) Repeat with a piece of aluminum foil instead of the paper. A number of concentric rings are observed in the foil.